Daniel R. McCarthy is a Lecturer in International Relations in the School of Social and Political Sciences, University of Melbourne. 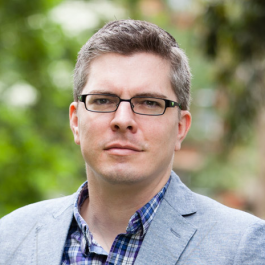 His research focuses on technology as a form of power in global politics, with a specific interest in information technology and American foreign policy, and on the politics of transparency in international relations. He is the editor of Technology and World Politics: An Introduction (Routledge 2017) and author of Power, Information Technology, and International Relations Theory: The power and politics of American foreign policy and the Internet (Palgrave 2015).